800 x 400 cm base diameter. 26’ x 13’ base diameter. 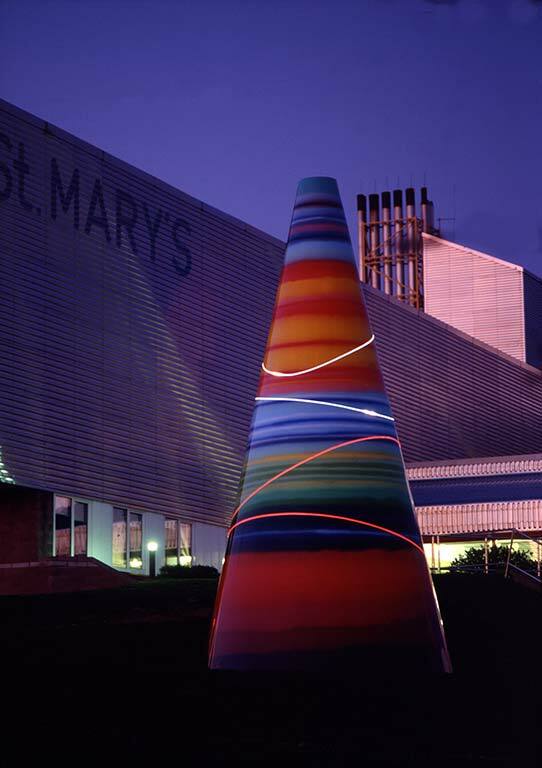 Commissioned by the Isle of Wight Health Authority for St. Mary’s Hospital, Newport. 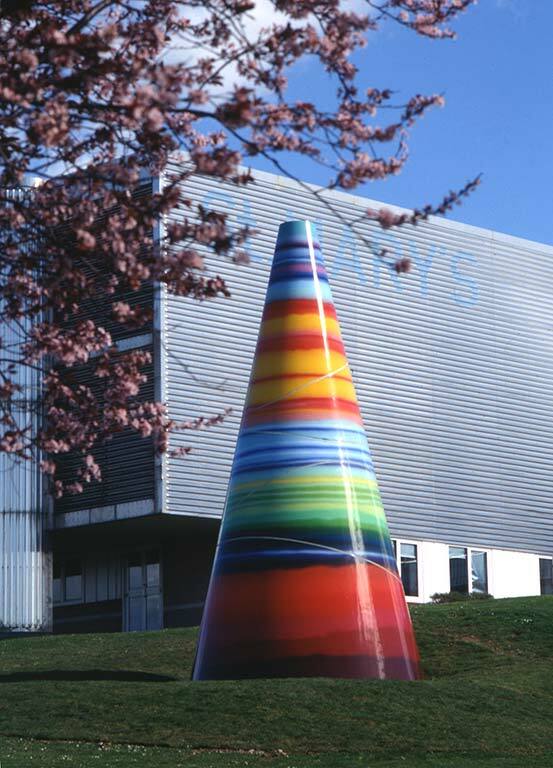 In Land Sea Light Koan Lijn return to striped cones she made in 1966 which she called Highway Cones. The numerous bands of colour reminded Lijn of the rings of Saturn. The cone is a cosmic astronomical form. What is the energy of a signal? Take for example the striped cones which are often seen on the highways, the major roads of a country. They signal a no go area or a diversion. Lijn saw them on roads as a child and they became an emblem of the road for her. The road itself signified departure, adventure, change. 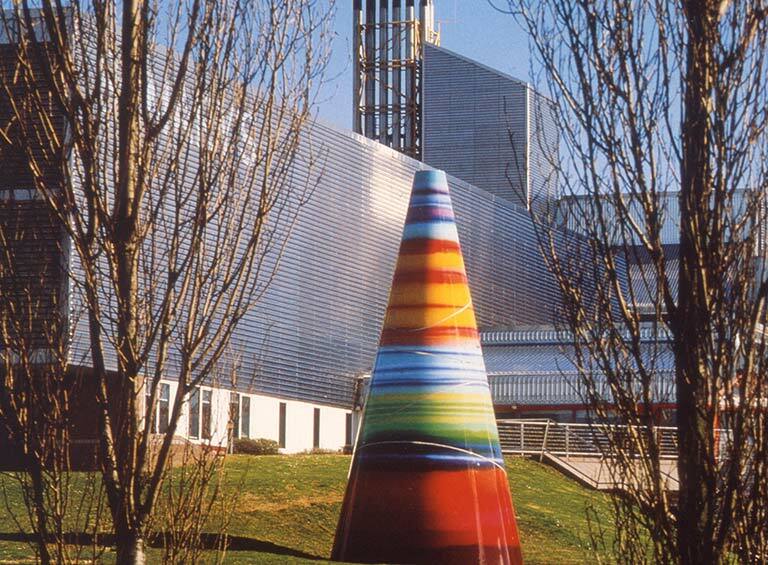 The striped cone therefore became a signifier of change. Land Sea Light Koan reflects the geology of the island with coloured striations suggesting the elements of earth, sea and air.